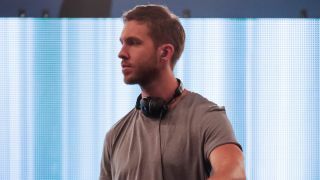 Wildly successful producer Calvin Harris has released a 2-minute video showing you how he created Slide, his recent collaboration with Frank Ocean and Migos, and the refreshing thing about it is just how familiar the whole process seems. The clip features Harris playing piano, a selection of synths, guitar and bass, then piecing the resultant parts together - along with the vocals - in Logic. There’s no magic: just someone developing an idea into a song in a DAW, just like we all do. It also serves as a reminder that not all EDM producers are simply programmers and knob twiddlers.